Tampa, FL – February, 2016 – Gilbane Building Company welcomes Laurie Henry as Business Development Manager for the local Tampa Bay area including counties of Hillsborough, Pinellas, Pasco, Sarasota and Manatee. Henry has 22 plus years of industry experience helping build business strategies and expanding relationships for clients such as University of Tampa, BayCare Health Systems, University of South Florida, Pasco County Public Schools and St. Petersburg College. In her new role she will concentrate on geographic growth and serving clients in both private and public construction projects. Her expertise and areas of focus include healthcare, higher education, k-12, criminal justice, mixed-use, and multi-family high-rise residential. Henry holds a Bachelor of Science in Advertising and Marketing from the University of Florida and participated in Leadership Tampa Bay 2015. 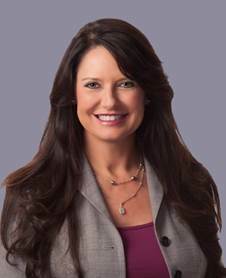 She is active with several industry associations including Florida Healthcare Engineering Association, University of Tampa Board of Fellows, Tampa Bay Area Chief of Police Association, Junior League of Tampa and the American Cancer Society of Tampa. Since 1972, Gilbane has been an industry leader in the state of Florida with a reputation for construction quality and client satisfaction. The company’s market expertise is focused on education, healthcare, and public facilities working with some of the area’s major organizations including Baptist Health South Florida, University of South Florida, Fort Myers Fire Station and Sarasota County Public Schools. For more information, visit www.gilbaneco.com.